Fleas are not only troublesome parasites that your dog or puppy can play host to but, depending on the age of your pet, can be life-threatening as well. Your pet can get infested with fleas through contact with other animals or from the environment, so don’t be surprised if even your new puppy comes home with you hosting some fleas. In general, there are three different types of flea treatment options available: oral and topical treatments, or collars. Oral treatments come in the form of flavored or unflavored chewables, while topical treatments are ideal when your pets refuse the chews. The method you choose to kill the fleas on your dog or puppy will depend largely on the weight and age of your pet. Bear in mind as well that the most effective way to get rid of fleas in the house is to treat your pet, home, and yard at the same time. Many flea treatments in the market have a minimum age limit of at least 4 weeks and specify your pet must weigh at least 2 pounds. If your pet is younger than this, using a flea comb and bath is your best option. You should only run a flea comb on dry fur, so do so before you give your puppy a flea shampoo bath. Depending on the infestation level, you may need to repeat the process regularly to make sure you kill all the fleas on your puppy. 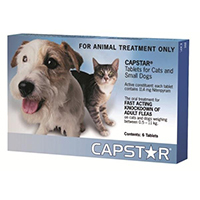 Capstar is an oral treatment that can be given to puppies from as young as 4 weeks of age and weighing over 2 pounds. 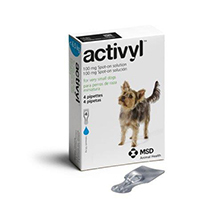 Capstar is a fast-acting treatment, which means it kills adult fleas within 30 minutes of administering and is safe to be used up to once per day. If your puppy is over 6 weeks of age and weighs under 5.5 pounds. 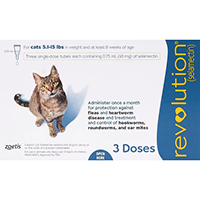 Revolution for dogs is a very popular and effective topical treatment that will not only get rid of fleas, eggs, and larvae on your pet, it kills newly emerged fleas before they can lay eggs as well. 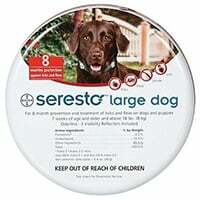 Slightly older pets (7 weeks of age) have a choice of the topical medication Advantage Multi and the Seresto flea collar. Both products will kill fleas, eggs, and larvae, and the Seresto dog collars have the added benefit of repelling fleas and ticks as well, protecting your pet from picking up fleas (and ticks) for up to eight months. Flea treatment options increase for older puppies. NexGard for dogs (and puppies as young as eight weeks and weighing over 4 pounds) is a monthly oral flea treatment that gets rid of all the fleas, eggs, and larvae your pet is currently hosting and also kills the newly emerged fleas before they can lay eggs. 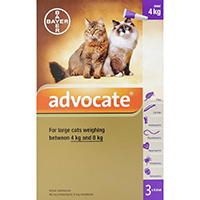 It also protects them for up to 30 days against fleas. If your puppy doesn’t like chews, topical treatments such as Frontline Plus or Activyl is ideal. 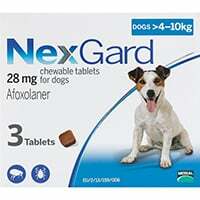 Like NexGard chewables, they will protect your puppy from fleas for 30 days and are designed to be used once a month. 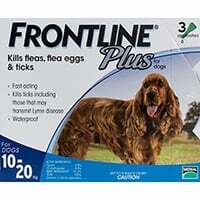 Frontline Plus for dogs also kills ticks, and kill and repel mosquitoes, while Activyl is a fast-acting treatment that kills 90% of fleas within 12 hours. 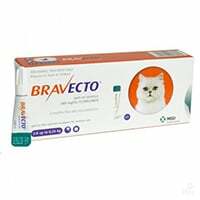 Bravecto is a great monthly flea treatment product for your dog or puppy over 6 months of age (weighing over 4.4 pounds) and comes in both oral and topical options. 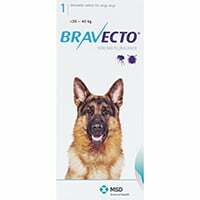 Both Bravecto chews and Bravecto topical kills fleas, eggs, and larvae and provides up to 12 weeks of protection against new infestations. They also have the added advantage of killing ticks.